The Red Lion in Witts End is not the same the the Red Lyon in Church End! There doesn’t seem to be any connection between them. The Red Lyon closed perhaps half a century before the Red Lion opened. 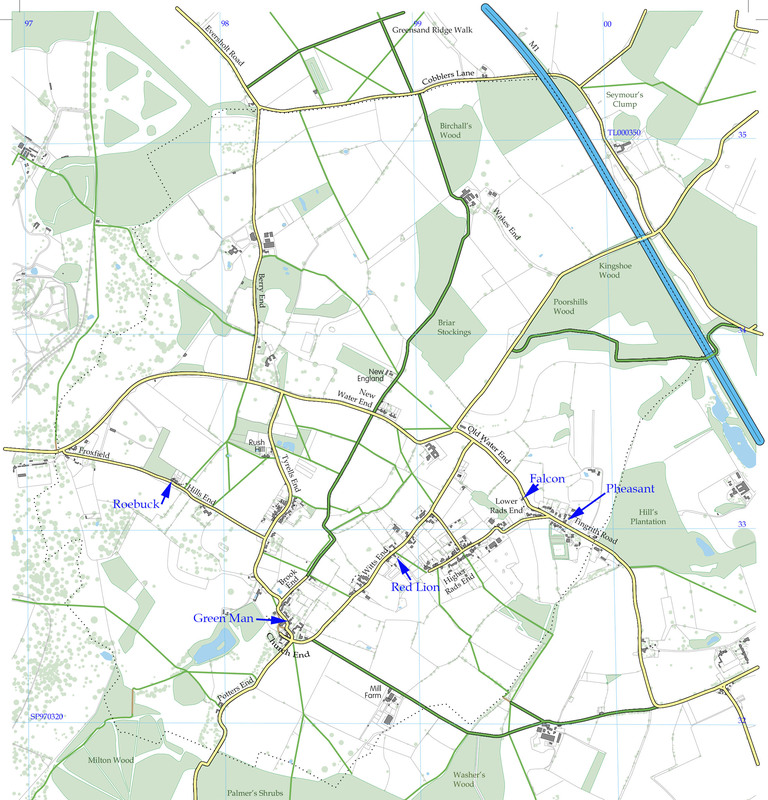 The Red Lion in Witts End finally closed in about 1994. The building is still called “Red Lion, Witts End” according to the Post Office. Here are some licence transfers. 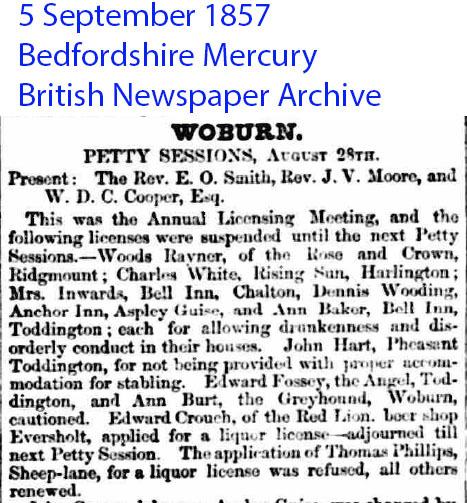 5 September 1857, Bedfordshire Mercury, from the British Newspaper Archive. Present: The Rev. E. O. Smith, Rev. J. V. Moore, and W. D. C. Cooper, Esq. 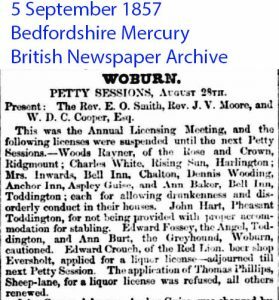 The above cutting shows that the Red Lion in Witts End was open as a beer shop by 1857, when the proprietor was Edward Crouch. He wanted a pub licence. Did he get it? I don’t know! I haven’t been able to find the court report in the papers yet.